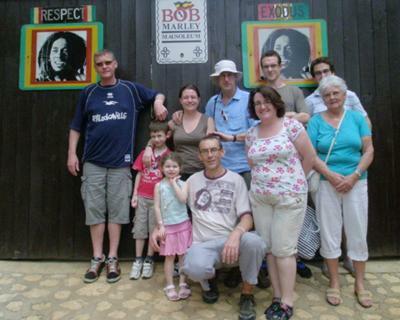 This was my 50th Birthday, with family & friends visiting Nine Miles in St. Ann, Bob Marley's home! 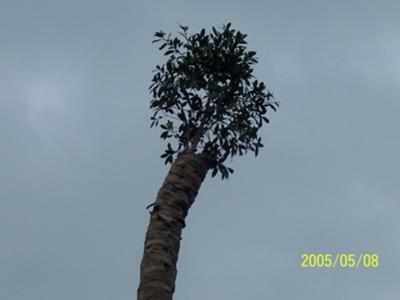 Took this in 2007 when I went home to visit my family. I believe this is a beautiful piece of art. I heard it was quite controversial but honestly I can't see what all the fuss was about. "if there is steak for dinner, let them hear it S I Z Z L E"
My friend in Jamaica took me here and I met the most beautiful people in the world...Miss them but soon come.. 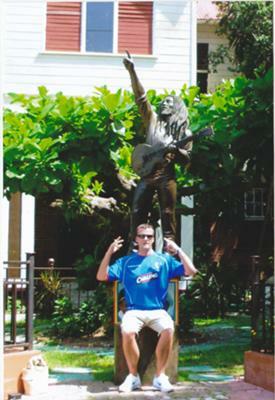 This pic was taken at Bob Marley's house in Kingston, Jamaica. What makes it special for me is, as the picture was being taken I was saying to myself am I really here? We had a good time, will be back! 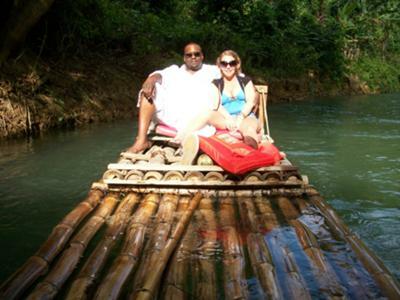 This was my first time rafting on the Jamaica Rio Grande Portland, Jamaica. 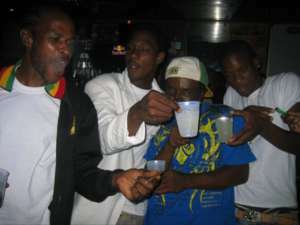 This photo was taken in Negril. 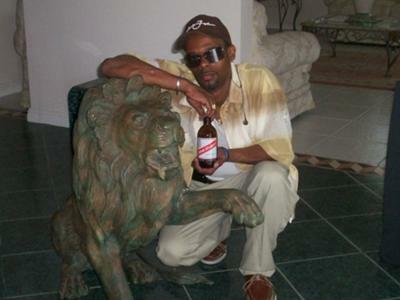 This was during my second trip to Jamaica. It was special because it was the first time my fiance took me down. Martha's Brea River Rafting! 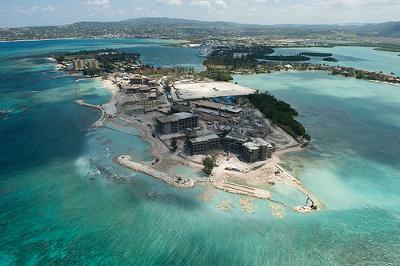 My first tour in Montego bay! 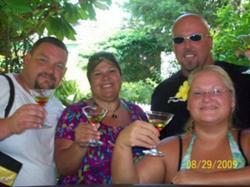 1st trip to Jamaica! every ting' was as beautiful as it seems! specially with my lovely lady! This photo was taken at the Carlyle in Jamaica with two very special friend of ours, couldn't ask for a more wonderful atmosphere. 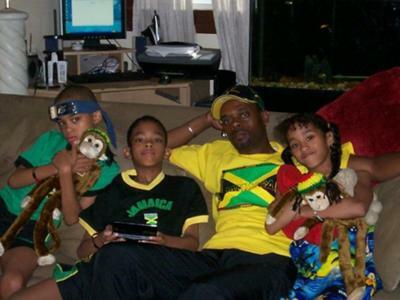 Will be returning to Jamaica again soon. Restoration comes in many forms. Add a little paint, some grass, a little discipline and you have a wonderful setting for imparting knowledge to minds ready to achieve. Godfrey Stewart is making that change. With change comes production and success. We have started to experience this wonderful new birth. 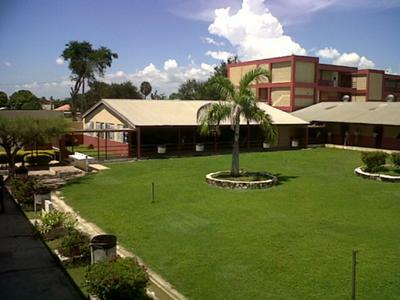 The school emerged in 1963 shortly after the independence of Jamaica from Britain, established as a senior school to address the concerns of the Government at the time about the quality of education being offered at the upper level of all-age schools. The system was pioneered by principal, Mr. Stewart. 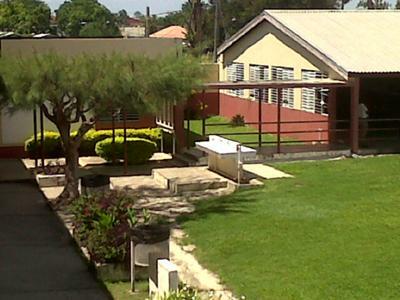 In 1966 it was upgraded to a junior secondary school and then to a new secondary school in 1974. Over the years, Godfrey Stewart has undergone several infrastructural and systemic improvements, which has helped the school to expand its services. 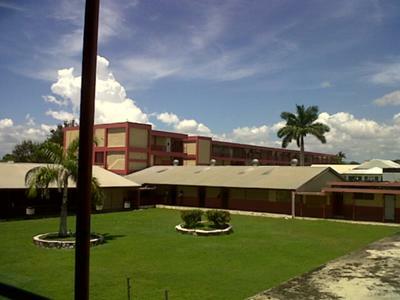 It added a new block of classrooms to accommodate students in the Grades 10 to 11 programme, which allowed the school to extend the school leaving age to 17 years-old and to expose students to vocational programmes. The shift system was introduced to the school at the same time to facilitate the increasing student population and in 1984 the “extended day” was introduced. However, the school reverted to the “straight day” a year later. 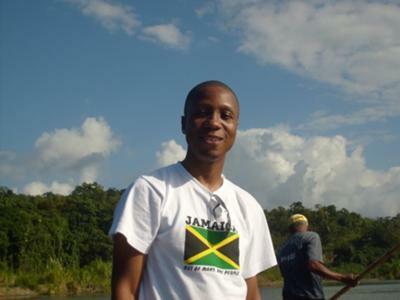 Godfrey Stewart, which caters to a student population of 1600, serves several communities in Westmoreland. These communities are: Hudson Street, Season Crescent and New Market Oval; Dalling Street; Grotto and Shoalin; and Barracks Road. 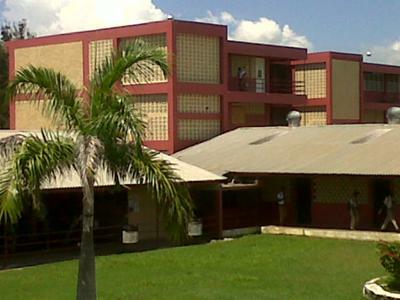 With an academic staff of 64, it provides a day and evening institute, which offers several subjects at the Caribbean Secondary Education Certificate (CSEC) level, including the core subjects Mathematics, English Language and Literature and History; and also Chemistry, Physics, Biology and Human and Social Biology, Geography and Electrical Technology and others. The school is steadily improving in most subjects, but is in need of much support to increase performance. Nineteen students achieved grades one to three in English Language in 2008 and only four passed Mathematics. This a second tree growing in an original tree. How this happen God knows seeds blow everywhere. check it out. 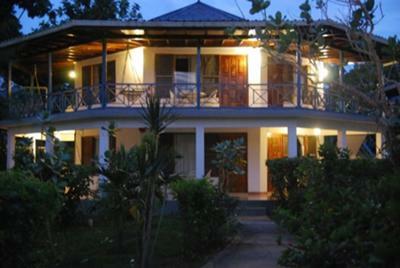 Such a fun club in the middle of Port Antonio. Had the best time!!! Some guys we met there. 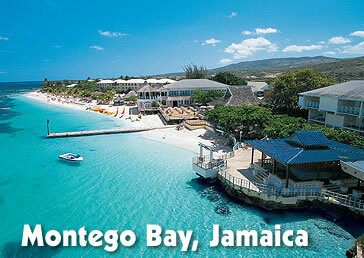 As Jamaica is a very beautiful place there are certain spots you must visit like Negril, Kingston, Montego Bay etc. Lovely photo! Thank you Sarah Belle! Isn't that the "Reggae Explosion" sign though? Yes! For those who don't know, Reggae Explosion is a Jamaican museum, yes, located in Ocho Rios, that showcases Jamaican music. But not just reggae, they have a whole lot more. 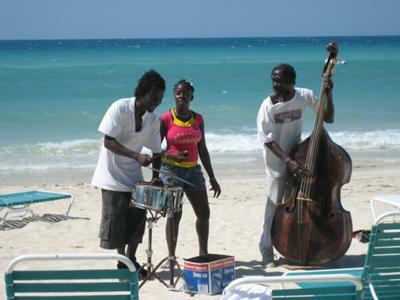 You'll find exhibits of various other genre of Jamaican music, for example, Dancehall, Ska, Mento and Rocksteady. They are located in the Island Village Shopping Center - right there on main street. By the way Sarah, please tell me that's not your mom?! It's clear that you enjoyed yourselves though, I am happy for you. Thanks again for sharing these memorable photos of your family trip to Jamaica SarahBelle. Take care, and please, stay in touch! And yes, please accept my apologies for the delayed posting of your photograph, will you? 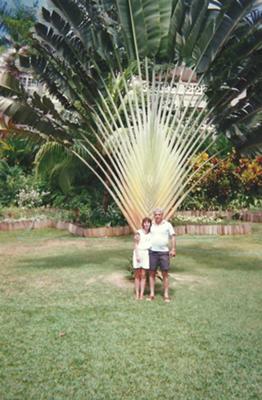 This picture was taken in July of 2009 on a visit. 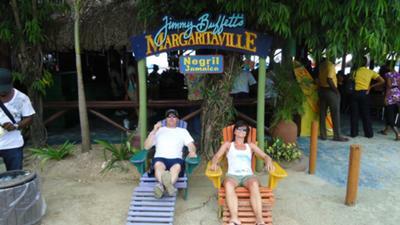 We stayed @ The Tree House in Negril AND this is one of the pix I have from that trip. This is special 'cause of the beautiful lighting I saw as I walked back to the room after an hour in the HOT TUB! !